Slider Pro is a horizontally scrolling WordPress theme from Graph Paper Press. 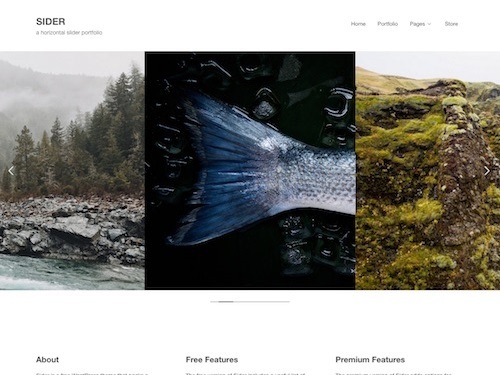 The premium theme is ideal for photographers and artists wanting to showcase their work in a beautifully minimal horizontal layout. Slider Pro allows you to display horizontal galleries with the images aligned side-by-side running from left to right across the page. The theme doesn’t limit you to only a horizontal gallery layout however. It also has other gallery layouts including: thumbnail / masonry grid, tiled mosaic galleries or a slider. Some of the other key features and benefits of the theme include: Sell Media plugin integration (so you can sell photos, prints and other downloads), mobile friendly responsive design, easy customization options (change header and background images, add a logo, tweak colors, custom fonts, create custom menus etc), numerous pre-made color pallets, hundreds of Google fonts, plugin support (JetPack, Sell Media, WooCommerce, and Easy Digital Downloads), custom page templates, translation ready, fully widgetized, automatic updates and more. 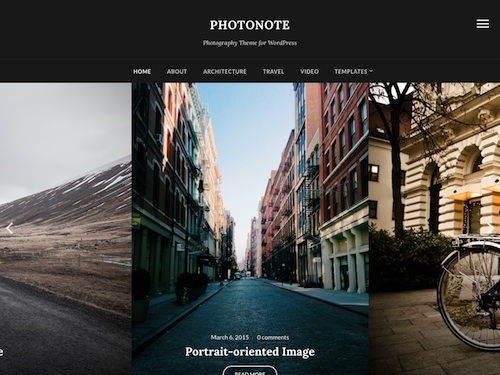 PhotoNote 2.0 is a beautiful WordPress theme designed for photography and portfolio websites. The premium theme from WPZOOM has undergone a major re-design and includes many new features and improvements. It has a simple and modern design that’s ideal for showcasing your photos and blogging. 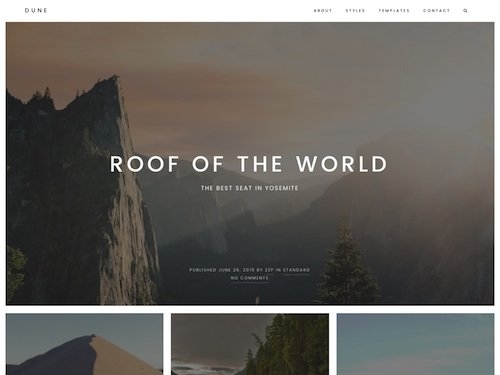 Dune is a stunning portfolio, photography and blogging WordPress theme from ZigZagPress. The premium theme has a bold, minimalist and modern design ideal for photobloggers, video bloggers, writers and authors, bloggers or anyone else. Dune is built on the rock solid Genesis Framework and it comes loaded with extra templates, admin options and shortcodes that extend native Genesis functionality to make customization quick and easy. 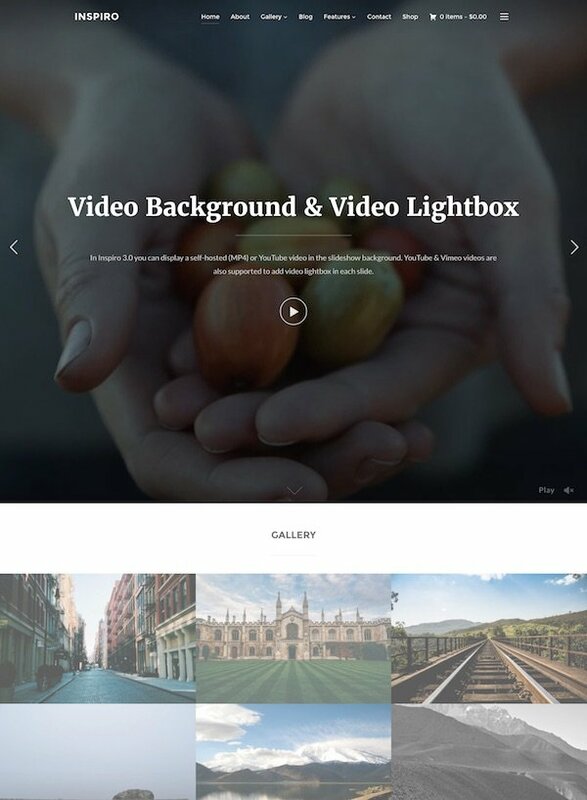 Some of the other key features of the theme include: full screen featured images, 6 different column layouts for the blog, simple and powerful theme options, mobile friendly responsive design, localization ready, video support, SEO optimized and more.